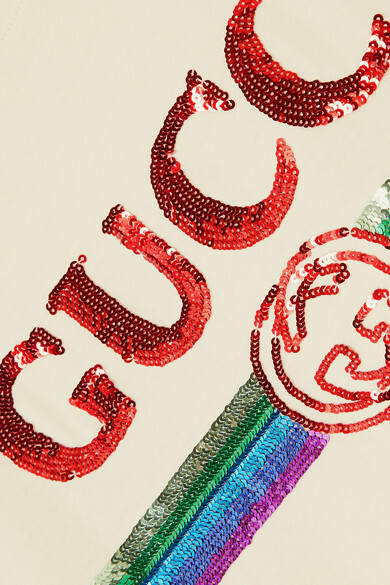 Gucci’s T-shirt proves that there's no easier way to add a playful touch to your outfit than with sparkles. 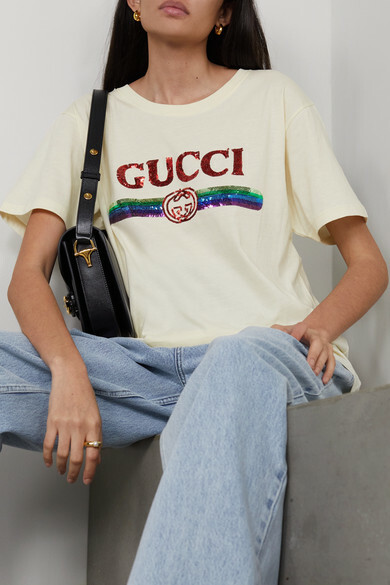 Made from soft cotton-jersey, this slouchy top is decorated with a rainbow sequin version of the label's logo. 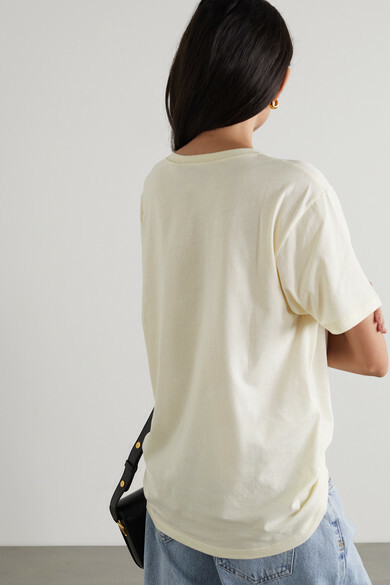 Wear yours loosely tucked into jeans. 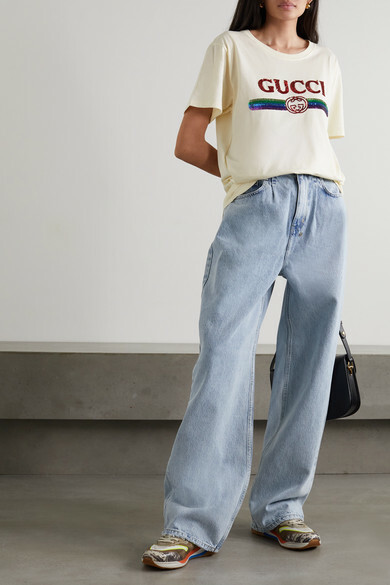 Shown here with: Gucci Pants, Gucci Shoulder bag, Gucci Sandals, Gucci Cardholder, Alexander McQueen Earrings, Roxanne Assoulin Bracelets.